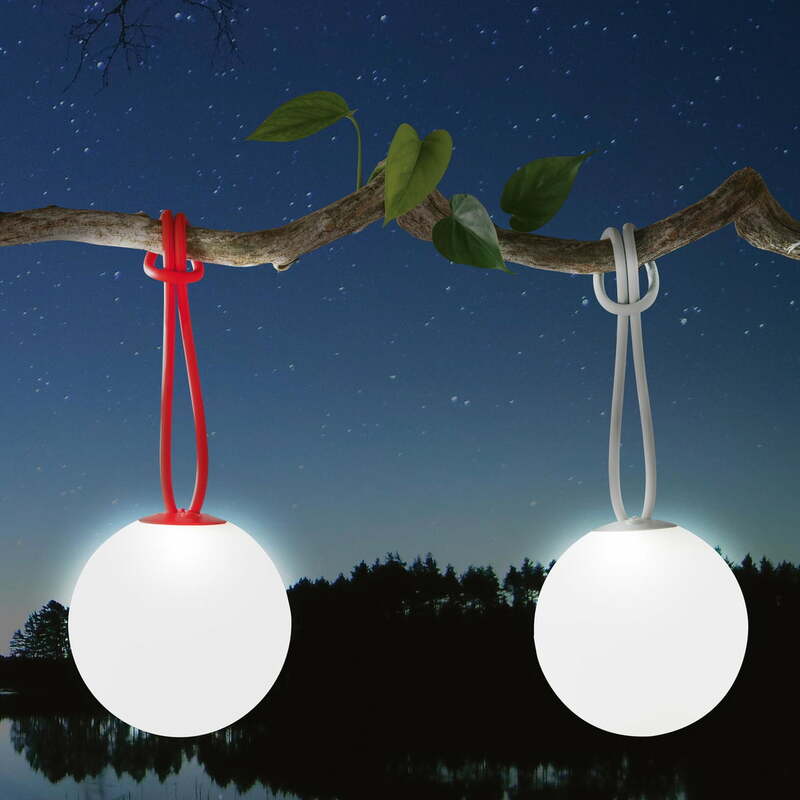 Cordless, portable and rechargeable: The hanging Bolleke lamp by Fatboy. The light for indoor and outdoor use impresses with its round shape and the loop made of silicone, inspired by sailor's knot and rubber hair ties. When Bolleke is switched on, the lamp reminds us of a pearl. The well-thought out shape provides a warm light that is evenly distributed. 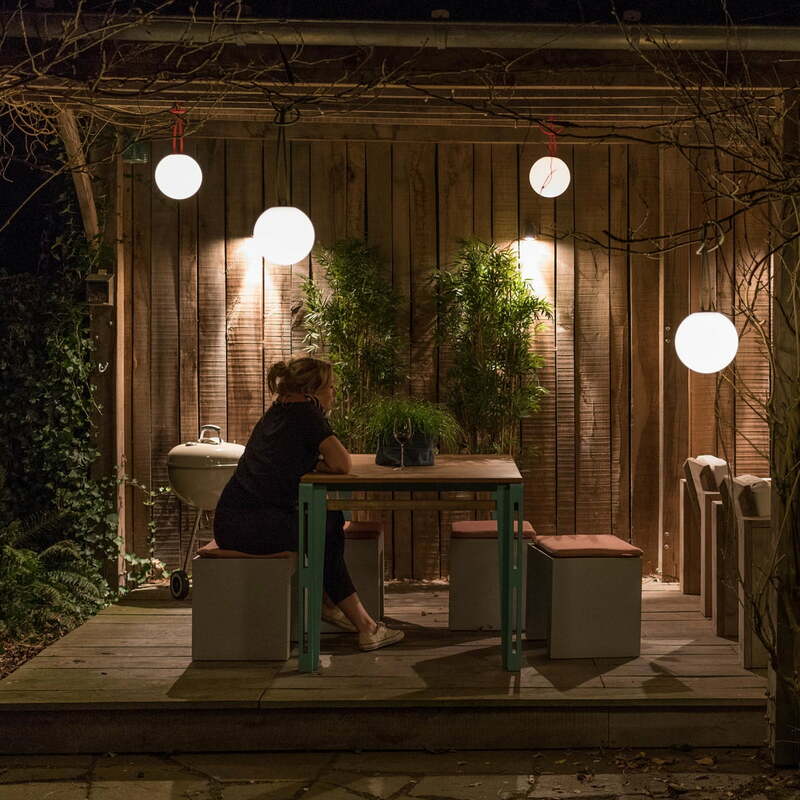 Thanks to the silicone loop, the pendant lamp can be used wherever and whenever light is needed, be it in the house or in the garden. A branch is as just as good as the back of a chair or the edge of a bed. The cordless atmospheric lighting promises up to 24 hours and can be recharged when necessary. Finding a place where a power supply is nearby will no longer be necessary. The three brightness levels provide the perfect lighting for different situations: for example, if you prefer a soft light for dinner, then the lamp can simply be dimmed. The Bolleke suspension lamp made of plastic by Fatboy is available with silicone loops of different colors. Dirt and moisture resistant. Easy to clean with lukewarm water and neutral soap. Rechargeable with the specially supplied USB cable type C.
Details Rechargeable with the specially supplied USB cable type C.
Isolated product image of the hanging Bolleke lamp by Fatboy in light gray: The cordless atmospheric lighting promises up to 8 hours and can be recharged when necessary. The light for indoor and outdoor use impresses with its round shape and the suspension made of silicone, inspired by sailor's knot and rubber hair ties. Lifestyle product image: The silicone cord of the Bolleke battery light comes in many different colours. The round shape of the pendant lamp emits a uniform, warm light. 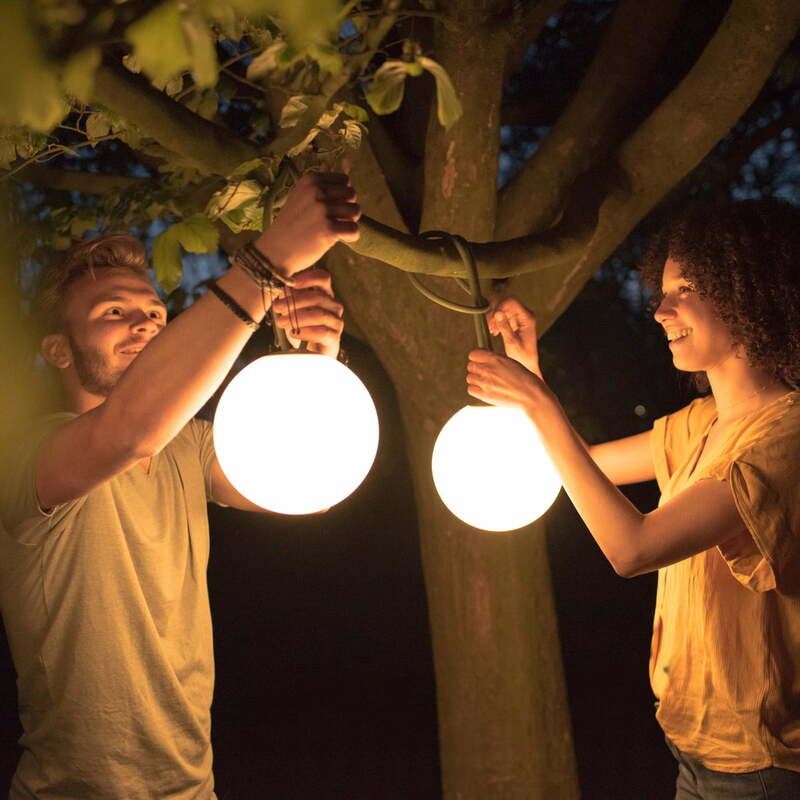 Thanks to its practical loop out of silicone, the Bolleke pendant lamp is versatile and can be hung up in different areas, in the garden or in the house. 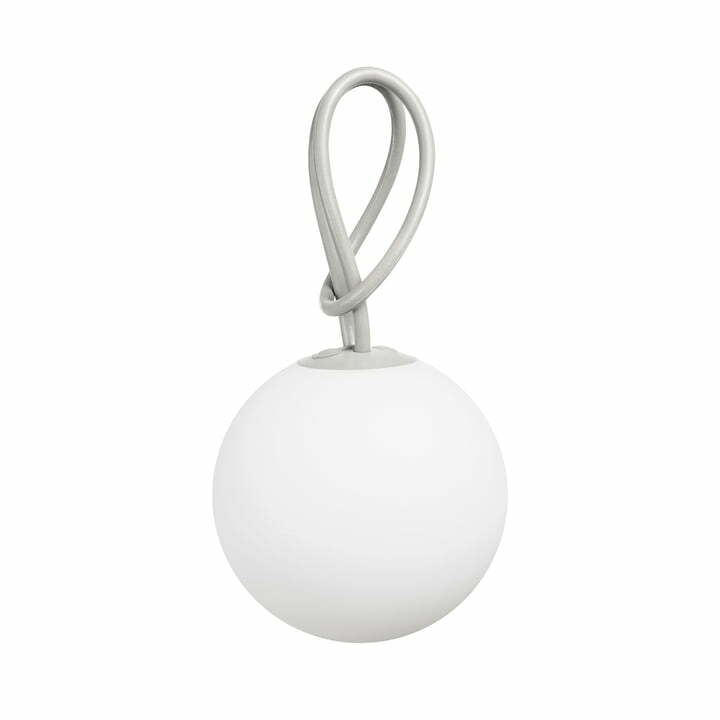 Lifestyle product image: The Bolleke pendant lamp Fatboy is ideal for outdoor use, as it is dirt and moisture resistant. It can simply be cleaned with soap and water.